Canada Intellectual Property. Drafted by Lawyers. 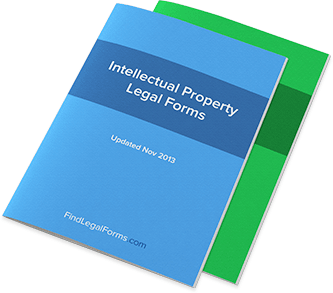 Intellectual Property forms for use in various situations. Included are copyright, trademark and patent forms, as well as work for hire agreements. Agreements used when developing and licensing software. Forms to assist you in protecting, selling,and licensing your trademark. Notice of Assignment of Patent (Canada) This Notice of Assignment of Patent is designed for use in Canada. This legal form is available for immediate download. Software Licence Termination Agreement (Canada) This Software Licence Termination Agreement is designed for use in Canada. This form is available for immediate download. Trademark Cease & Desist Letter (Canada) This Trademark Infringement Cease & Desist Letter is designed for use in Canada. This form is available for immediate download. Shrink Wrap License Agreement (Canada) Shrink Wrap License Agreement created a limited, non-exclusive license for the use of software. For use in all provinces except Quebec. Software License Agreement - Fixed Term (Canada) License to use software for a specified period of time. For use in all provinces except Quebec. Software License Agreement - Fixed Term - Simple (Canada) Simple license to use software for a fixed term of one year. For use in all provinces except Quebec. Software License Agreement - Perpetual (Canada) License to use software with no expiration. For use in all provinces except Quebec. Software Maintenance Agreement (Canada) This agreement is for the maintenance and support of specific software. For use in all provinces except Quebec. Research and Development Agreement (Canada) Research and Development Agreement for use in Canada. Domain Name Licence Agreement (Canada) Domain Name Licence Agreement for use in Canada. Service Mark Licence Agreement (Canada) This Service Mark Licence Agreement is designed for use in Canada. This legal form is available for immediate download. Royalty Agreement (Canada) This Royalty Agreement is designed for use in Canada. This form is available for immediate download. Mutual Non-Disclosure Agreement (Canada) Mutual non-disclosure agreement between two parties contemplating entering into a transaction with one another. Notice of Assignment of Trademark (Canada) This Notice of Assignment of Trademark is designed for use in Canada. This legal form is available for immediate download. Work for Hire Agreement - Editor (Canada) Work for Hire Agreement for an Editor is designed for use in Canada. This legal form is available for immediate download. Work for Hire Agreement - Illustrator (Canada) Work for Hire Agreement for an illustrator which is designed for use in Canada. This form is available for immediate download. Work for Hire Agreement - Musician (Canada) Work for Hire Agreement for a musician designed for use in Canada. This form is available for immediate download. Work for Hire Agreement - Photographer (Canada) This Work for Hire Agreement - Photographer is designed for use in Canada. This legal form is available for immediate download. Work for Hire Agreement - Programmer (Canada) This Work for Hire Agreement for a programmer is designed for use in Canada. This legal form is available for immediate download. Work for Hire Agreement - Writer (Canada) Work for Hire Agreement for a writer designed for use in Canada. This form is available for immediate download. When many people think about property, they tend to think about what is most tangible – real estate, for example. But people also forget the importance of protecting intellectual property, which is any type of original or creative work. For example, a movie screenplay would be considered intellectual property, just as the manuscript for a novel or a patent on a new invention would. Other types of intellectual property include visual works such as paintings and musical compositions. The United States government has a few strong avenues for protecting your intellectual property. From the artist’s perspective, the protection of intellectual property is best achieved through registering a work with the government – patents and copyrights are two of the most popular types of intellectual property. While the government and, therefore, the justice system will be willing to protect your property, the true protection begins with a full knowledge of how intellectual property works. What types of Intellectual Property are there? Copyrights: A copyright is a formal registration of original work with the government, and can extend to works as wide-ranging as big-budget Hollywood films to a small business logo. Screenplays, novels, poems, and musical compositions can all be registered for copyrights in order to ensure their protection. Patents: Typically reserved for inventions and improvements on inventions, patents are essentially registrations of work that would not be considered, in the strict sense, “art.” For example, an improved showerhead could become a registered patent. Patents carry a lot of legal weight, which is why so many businesses are quick to look for the next important one. Trademarks: Understanding the nature of trademarks (as opposed to copyrights) is simply a matter of looking at the word itself. A trade “mark” is what a company uses to distinguish its own work from the work of others and therefore prevent others to use a similar mark. These are the three main types of intellectual property protection, and chances are if you have an original work of some sort, it will fall under one of these three categories. What are some strategies for protecting my Intellectual Property? If you are certain that your claims to your intellectual property are being infringed upon, you cannot expect the justice system to handle the issue for you automatically. Many individuals and companies find that they have to take a proactive approach to their own property. One of the first tools that most people use is a Cease and Desist letter. This letter serves to identify the source of the problem – what the copyright in question is as well as how it’s being infringed upon – and then requests that the perpetrator of the infringement then change their behavior. In many cases, this letter in and of itself can be enough to stop the behavior; however, just as often, it is ignored. After that point, it is possible to pursue legal action against the person infringing upon the intellectual property; because the intellectual property is registered with the U.S. Government, it will be easy to prove that it exists and is being infringed upon. Many of these lawsuits are then settled out-of court (at this point, the owner of the property may need to receive legal fees back), but many go to court when no settlement can be arranged between the parties. What happens if I work for someone and create an original work? If you signed an agreement that says anything created in your employment or work-for-hire for someone else becomes their intellectual property, then that is a lawful arrangement. Because both sides are received consideration (the employer is receiving the work created while you are receiving compensation for your work), this is a fully valid arrangement. If you are under employment from an employer who reserves the right to the work you do at that job, you will have to create work on your own time if you want to own your own intellectual property. These arrangements are actually quite common and should be expected for anyone seeking employment, though they are certainly negotiable as well if you have a professional relationship of some sort with your employer. Can copyrights be used by anyone else? Yes, but if the use is to be lawful, then it will require permission of the copyright owner. Many filmmakers will note that they were not able to secure the rights for certain musical pieces, for example, because the original artist (still in possession of the intellectual property rights) has denied them use of the material. When a copyright owner wants to let someone else use their intellectual property, it is usually handled in one of two ways: either a licensing arrangement is made, or the right to re-use the copyrighted material is assigned in some way. There are legal documents for exactly these transactions. What kind of intellectual property licenses are there? There are a number of licensing agreements that two parties can arrange. For example, the most common is that of a Copyright License Agreement, in which copyrighted material (such as a song) is licensed for use by a second party. Other types of these arrangements include Domain Name License Agreements, Home Video License Agreements, Music Licenses, and Patent License Agreements. These arrangements can be highly valuable to the original owner of the intellectual property because they constitute a potential source of income from the ownership of the property going into the future; for example, someone who wrote a hit song long ago can still see money from it thanks to the licensing of their song.